Mark the date in your diary – 10th October 2013 – this is WOBS2013! Claire Godwin set up the group a few months ago and it has become an oasis of information and help on diverse business related topics. Gotta question about your business? Ask it in the WOBS group and you’ll be sure of a useful, helpful reply – usually within just a few minutes! And that same ethos is manifest throughout the WOBS2013 Conference – all the speakers, and the back room helpers, are giving their time free of charge from a spirit of helping which means you’ll get solid-gold information at a rock-bottom price. Claire has made it clear she wants valuable content from each speaker. This IS NOT going to be a Pitch Fest. What it will be is useful content for every single woman in the room. We have six different speakers on the day sharing different business topics that will be of interest to any woman in business or looking to start a business. AND, there’ll be plenty of opportunity for networking with the speakers and the other attendees. 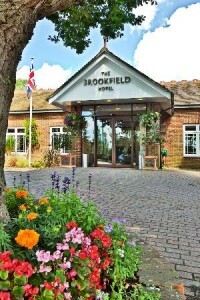 WOBS2013 is taking place at the Brookfield Hotel, in Emsworth near Havant on the SouthCoast. Thursday 10th October 2013, with registration from 9.30am. There’s a lot to pack into the day so please make every effort to get there on time. And the best part – in the spirit of helping everyone, and because the speakers are giving their time free of charge, the price is being kept at rock bottom. This is a non-profit event. So we are able to offer the tickets at just £97 each and if you have a friend you can bring her for FREE! YES that’s just £8 per workshop! AND that includes lunch and refreshments as well as the stellar line up of speakers! If you’re a woman with a business then this really is a no-brainer. There is NOWHERE else you’d get this level of business development information for such a low price. So, invest in your business today! You’ll be glad you did. Please note, the hotel is small and intimate, and places are very limited. Book now to avoid disappointment! For many of you, you’ve already decided. You may have already booked. However, if you need to know more, here’s a rundown of the people involved and what they’ll be speaking about. The driving force behind WOBS, Claire is a business coach, public speaking trainer with a background in HR and the public sector. She’s also a great advocate for women in business. 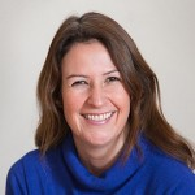 Claire will deliver a session on crafting your elevator speech – that is what to say when asked “what do you do?” in such a way that the listener ‘gets it’ and remembers you. She’s going to be busy as she’s also delivering a session on how to structure a talk and deliver it to keep the audience engaged. Known as the Queen of Social Media, Veronica teaches social media relationship marketing. People do business with people they know, like and trust – Veronica helps you build the Know, Like and Trust factors through developing relationships on social media. On WOBS Day she’s going to be sharing her knowledge of creating Lead Magnets to build your own list so you’re not completely reliant on the social media platforms and can develop deeper relationships with your prospects and clients. Louise is a business coach and content marketing consultant who specialises in helping small business owners have more impact by using the Internet more effectively. Together with Claire, Louise will deliver a session on creating products at different price points and setting your business up to generate passive income. As director of Laughterlines Coaching and author of ‘The Pocket Book of Laughter’, Lisa spreads joy, laughter and happiness through her work. At the WOBS Day she has volunteered to take the ‘graveyard’ slot after lunch where she’ll be motivating everyone with fun and laughter, setting the energy for the rest of the afternoon session. Jane is a colour and style consultant transforming women through their wardrobes. Jane’s presentation will be all about dressing for success in business covering colour, style and including your own personality. Nicola is a hypnotherapist and women’s wellness expert. She specialises in helping women to move past any unconscious blocks so that they can achieve their goals and dreams. In her session Nicola will be inspiring you to take what you’ve learned during the day and put it into practice in your own business when you get back home. Isobel is a Virtual PA and has done the sterling work of organising and arranging the conference. She’ll be on hand on the day to make sure everything runs smoothly and to time. Penny is a professional photographer, helping you make the most of your online image. She’ll be taking all sorts of photos of the event on the day. Special WOBS offer: your profile image for £20 pre-booked, or £25 on the day, receiving up to 6 edited images sent to you on disc. Technical wizard and WordPress expert, Jean had the responsibility for setting up the website and ensuring everything was working perfectly. If you’re reading this, she did a great job! SPECIAL WOBS OFFER: I’ll create a sales page just like this one for £197 – that’s a discount of £100 off my normal price and is only available to WOBS members. Email me jean@justaskjean.co.uk to get started. That’s me, the copywriter who wrote everything you’ve just read! I write sales copy for coaches, consultants and therapists, and I train small business owners to write their own copy. It’s time to make a decision. If you have a business, or want to start a business then it’s worth investing a day of your life attending the WOBS2013 Conference. Copyright © 2013 Speak In Your Voice. All rights reserved.